r.h. 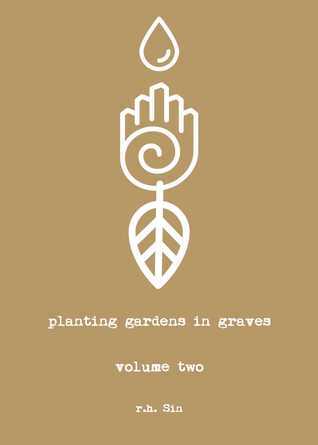 Sin continues his bestselling series with Planting Gardens in Graves II, another powerful collection of poetry that hones in on the themes dearest to his readers. This series celebrates connection, mourns heartbreak, and above all, empowers its readers to seek the love they deserve. I went into this book hoping to be both moved and empowered by this book due to the hype there is around r. h. Sin’s work but unfortunately this book wasn’t my cup of tea. This book is marketed as empowering but personally I think r. h. Sin didn’t quite get this across. It’s very hard to promote a feminist message and be a man. Male feminists are crucial if we want to change anything but I believe r. h. Sin may still need a bit more education. For the most part I think he only got his tone wrong however multiple times throughout the book he talks about how dating this one woman who lowering his standards and it is never acceptable to talk about someone like that. r. h. Sin has an very beautiful writing style that would blow me away if I was reading a novel of his but in the style of poetry that he writes I felt the single sentence poems fell a bit flat. In conclusion, I wouldn’t pick up another poetry collection by him though it may just be that I unfortunately picked up one of his weaker books. Hopefully r. h. Sin will continue on his journey with feminism and maybe his future works will reflect this but this poetry collection is not one to pick up if you want to feel empowered. If you are looking for a poetry book to empower you I would recommend The Witch Doesn’t Burn In This One by Amanda Lovelace, which is also published by Andrews McMeel Publishing and was published in March of this year. Disappointingly I’m going to give this book 1 star.